Above Heritage Fresh, Opposite Coffee Board Layout Park, Hebbal Kempapura, HA Farm Post, Bengaluru Karnataka - 560024, India. 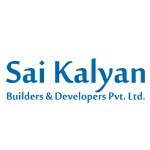 Sai Kalyan Builders and developers is one of the leading builders in Bengaluru building quality and delightful homes. After our inception in 2013, we are offering premium luxury residential apartments in Bangalore. "Quality residential houses in affordable rates" is the often quoted one about us. Having contributed immensely in uplifting and shaping the landscape in Bengaluru and currently, our new Luxury apartments are for sale in North Bangalore. Being well established in the real estate development business, we have a team of extremely qualified and experienced architects, structural and civil engineers, customer service team and other professionals and consultants who can help us deliver not just homes but architectural excellence. Our teams make sure that our customer's dream home come true with extremely hassle-free experience. We take utmost care in crafting luxurious and comfy living spaces to our beloved clients which will not just serve a basic need but an extension of their personality. Sai Kalyan Builders and developers have tasted the success with its very first project "Sai Kalyan CUBICS" in North Bangalore and had no look back after that. We choose prime landscape in key locations of Bangalore and craft them into an elegant and intelligently designed living spaces. Our team of consultant architects incorporates their creativity in architectural designs by keeping our client's input in mind. The client's ideas, their requirements, and their budget are the raw materials from which the architectural designs take birth from. We have successfully completed many large-scale construction projects for our varied clientele, by going those extra miles with Nano detailing. Our primary focus has always been on quality of work, elegant architectural designs, integrity in intention and completion of the project as scheduled.